Our fully equipped workshops are class leading. 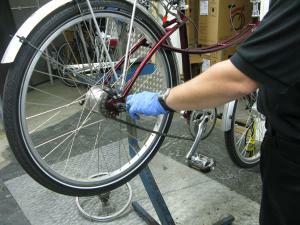 We handle all bicycle repairs from simple puncture fixes through to complex builds and repairs. Our mechanics are Cytech-qualified and trained on Bromptons, hub gears and electronic drivetrains as well as more unusual repairs. Close ties between suppliers and mechanics ensure up to date product servicing knowledge. On-going training programs continue to build the knowledge base as new products evolve. Most bike repairs are carried out same day (which we don't charge extra for!). For help, information or to make a booking please contact your local store. All servicing and warranty work is performed by qualified Shimano experts. Alongside offering maintenance and repair work, staff can offer advice on Shimano products and innovations that each cyclist can rely on. We have up to date training and certification from Velotech to advise on, install and repair all v1 and v2 EPS groupsets and components. This is in addition to all Campagnolo mechanical systems, for which we stock all essential service items. 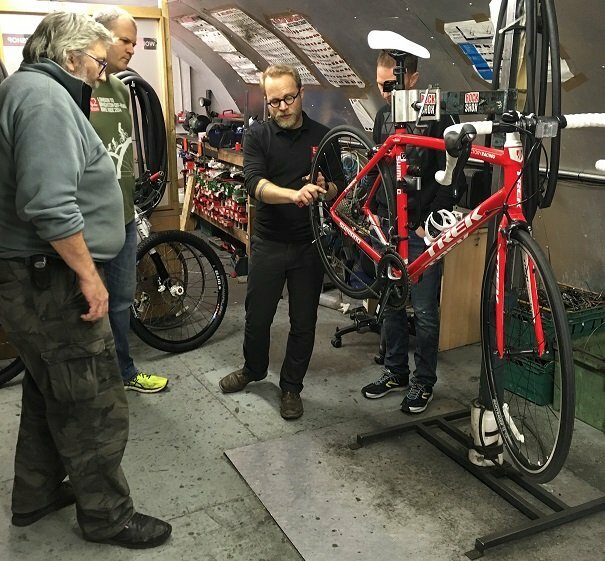 For those wishing to learn more about their bikes and how to service them, On Your Bike in London offer regular bike maintenance classes during the winter months. Course sizes are restricted to a maximum of five pupils per tutor, and you will be working on your own bike. During the course you will learn the basics of routine maintenance and how to replace and service most of the parts on your bike. Our Birmingham store offers maintenance classes on a one to one or one to two basis. These can be booked at a time to suit you and cost £50 per hour. The content of the session is tailored specifically to your needs and requirements. Please contact us for more information and the next dates for the classes. Doctor Bike is a mobile maintenance service, where our mechanics will attend your workplace or other site in order to offer basic repairs and tune-ups to your staff or customers' bikes. This is a great way of encouraging would-be cyclists to drag an old bike out of the shed and start cycling again with the confidence that our highly experienced mechanics have given their bike a thorough safety check and basic service.